Take a look at the Character Map in Windows and tell me your best “˜font friends’ on it. 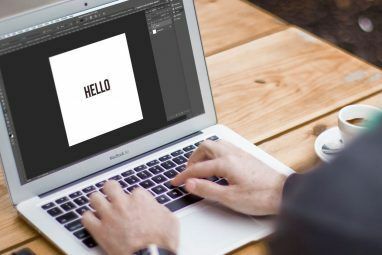 Usually, it doesn’t go beyond the Arial font family, the Times New Roman font family, and a few neighbors like Comic Sans coming into your circle. But even then, are you pally with all the members of each font family? Well, that’s quite impossible. 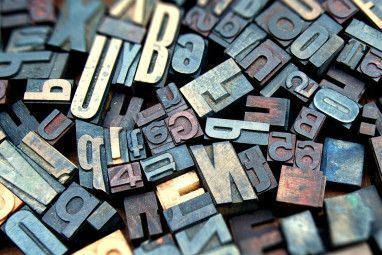 But maybe once in a while we should take a stroll through the “˜characters’ in each of the font families and see what unique uses we can put the lesser known fonts to. The Character Map installed on each system is a motley of nice upright fonts, crazy scrawny ones, and of course the symbols and the dingbats. Just take the dingbat fonts (Webdings and Wingdings); they are a rich collection of symbols and small pictograms we can use. From religious symbols to the computer parts (even a ticking bomb), you will find something of use there. Just to give you an example of using the lesser fonts creatively – you can take the “˜scissor’ character from Wingdings and put it next to a dotted line. It illustratively tells you on a printed sheet – cut along the dotted line. So open up the entire character set and let’s put down some more rapid fire uses of the lesser used fonts instead of making them feel like orphans. On Windows XP – Click Start, point to All Programs, point to Accessories, point to System Tools, and then click Character Map. On Windows Vista / 7 – Click Accessories, then System Tools folder to access the Character Map in Windows. Or alternatively, click Start, then the Run dialog”¦type in charmap.exe; hit OK. If any, lesser used fonts can find their most creative use as fancy bullets. For instance, instead of repeatedly using the default ones, the dingbat fonts can be brought up. One of the tricks in 4 Custom Bullet Tips and Tricks for Microsoft Word 2007 4 Custom Bullet Tips and Tricks for Microsoft Word 2007 4 Custom Bullet Tips and Tricks for Microsoft Word 2007 Read More referred to their easy handiness as decorative bullets. The entire Character Map can be your smiley sheet. Open up the Character Map, select the dingbat font of your choice, click on Copy. Type in your text with a regular font and then choose the dingbat font from the dropdown before pasting the character from the clipboard. As with any text you can adjust the font size and color of the dingbat font. Oh, dingbat fonts do have regular smileys of their own. Fonts which resemble graphics can be good substitutes for cliparts. Take a look at the screenshot above – the uncomplicated lines of the “˜His’ and “˜Hers’ is as good as any clipart. That’s from Webdings. 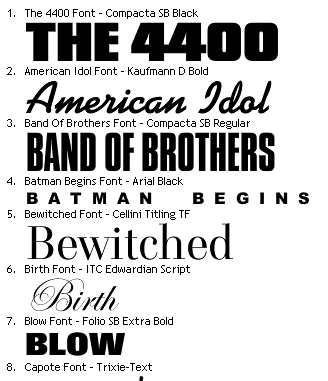 Any number of these symbolic fonts can be used to deck up your presentations or publications. Nearly every font has characters which resemble symbols. Take Arial for instance. While writing notes in a text editor, these “˜symbol’ characters can be used as visual cues for interpretation. Combining them with characters from Symbol, Webdings, or Wingdings further enhances your text. A simple checkmark has its uses in everything from lists to PowerPoint presentations. Head to Wingdings and its last row for the check and the cross non-graphic symbols. 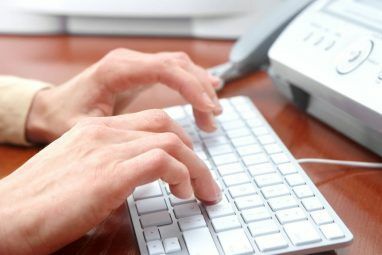 Typing one or a few letter C’s in Webdings creates a series of checkboxes which can be symbols for entering numbers like ZIP codes or phone numbers. Letters, numbers and a few special characters on your keyboard are run of the mill for folder names. But how do you get more creative with it? You use the Character Map to insert meaningful characters to the folder (or file) names. Using the characters in the right sequence also helps to arrange specific folders in an order. If your default UI system font is Tahoma, then open up its character set and choose a unique character to set off your folder name differently. Of course, if you change the system font to something like Arial then you have a better set of characters to choose from like the character which symbolizes a musical tune or the light and dark shades characters. Just next to it is the last character in Wingdings. The Microsoft logo finds a lot of uses; from illustrating a Windows shortcut to just suggesting that this is a Windows tip. You got the Windows logo easily. You can also play with the variety of characters in the Character Map to design your own simple logo. Open up your graphic editor; start off by typing the chosen character as text or copy pasting it from the Character Map. The text can be rasterized, turned into a path, or a shape. You can go to work on it with all the graphical tools in your program. Two or more such characters can be combined to create creative but simple logos. Creative commons (even then see the next point) is fine but with the kind of plagiarism going on, you do have to spread your copyright and trademark around. Check out the details on inserting a copyright, registered or trademark symbol How to Create Copyright and Trademark Symbols via Keystrokes How to Create Copyright and Trademark Symbols via Keystrokes This post came about because I was searching for ways to create a copyright symbol for a batch of graphics in Photoshop. Read More in Microsoft Word, Windows applications, or a webpage. Another instance could be to download the Creative Commons logo and icon in an embeddable TTF and use them from the character map. This has become especially relevant for me as an Indian. The new Indian currency symbol is not a part of keyboards but it can be downloaded as a font file and mapped to an unused key Remap Keyboard Keys with These 3 Free Apps [Windows] Remap Keyboard Keys with These 3 Free Apps [Windows] Read More for use in personal documents on the computer. There are a thousand and one creative uses of fonts. But away from typography and graphic designing, what simple but creative uses can you come up with by just looking at the Character Map? Maybe it is for special accent symbols or simply putting the degree sign. Do type it in the comments. Explore more about: Digital Document, Fonts, Typography. ?? ~ ? ~ ?? Thanks for the link to the Indian rupee font. I use the Character Map the same way I use "Insert Symbol" in Microsoft Office applications. I find it less disruptive to my train of thought to copy and paste accented letters, a US cents sign, or a temperature degree sign that to find an alternative way to write something. Hi Lorie, Thanks for your comment. The Indian Ruppee symbol won't be a part of international font layouts till next year, I think. Though the symbol is official, the whole process of amalgamation is long drawn. hey Saikat, thanks for the excellent post. Some of the suggestions are pretty cool, I especially liked the last one for mapping an unused key. Thanks Aibek. Personally, I like opening up Dingbats and exploring the creative uses I can put it to.